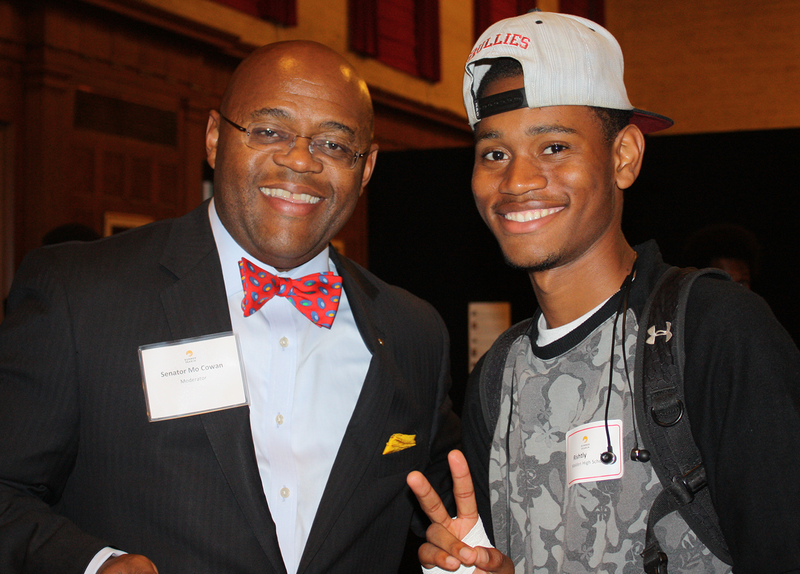 Senator and Panel Moderator Mo Cowan with Boston student Rishtly. Our Boston office recently held their Fall Event, which featured a panel discussion with Boston leaders, including new Boston Public Schools Superintendent Tommy Chang, Gladys Vega from the Chelsea Collaborative, and former Massachusetts Senator Mo Cowan, as well as two Summer Search Boston alums — Denise Rodrigues and Ronald German. The title of the event was A Conversation with Boston’s Leaders of Today and Tomorrow, which provided our audience of more than 250 students the chance to have a candid discussion with established leaders who may share their backgrounds/experiences, and be able to envision themselves in those future leadership roles. 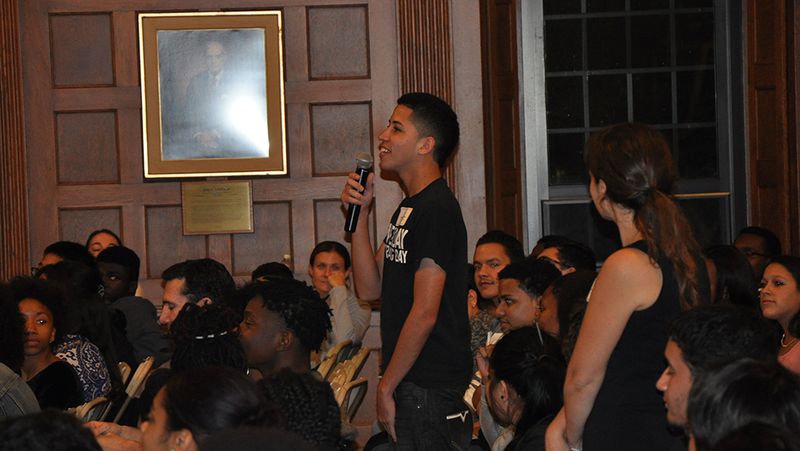 Boston student Carlos asking a question of the panel. From left to right: Mo Cowan, Denise Rodriguez, Tommy Chang, Ronald German and Gladys Vega. Previous Post#Snapshot: Trip MapsNext PostIt’s Leadership Week!